The fiador knot at the chin makes it easy to adjust. 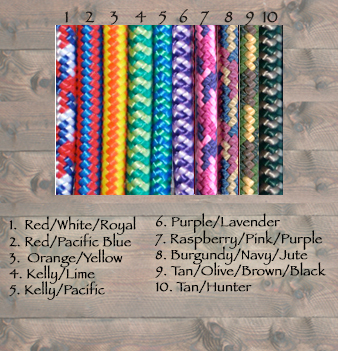 We use our special throat latch knot, and lover's knots throughout, including the tie off ends. This set includes a matching browband, complete with decorative knots. 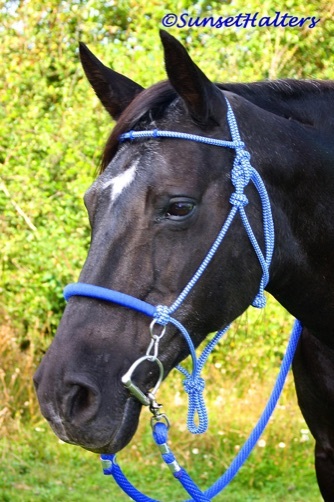 Stainless steel noseband rings come with bit hangers. These also have a wrapped noseband. 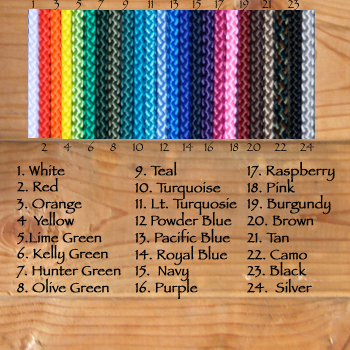 Noseband wrap colors shown below.